We use a Functional Medicine framework that takes a comprehensive look at your history, symptoms, lifestyle, environment, and emotional well-being. Then we use advanced lab testings to investigate your hormonal status, your vitamin and micronutrient levels, your gut health, your toxicity levels, and your genetic predispositions. We tailor a treatment plan specifically for you. This plan includes comprehensive diet and lifestyle recommendations, stress management tools, yoga and exercise plans, acupuncture, supplements, botanicals, and medications when necessary. We believe that a strong partnership and teamwork is crucial on one’s journey to healing. That’s why you have a support team that not only includes Dr. Lo but also a health coach. Remember, 80% of diseases can be improved and prevented through one’s lifestyle. We want to give you the best support possible to make long-term habit-changes so you can live more happily and healthily. We use large conventional labs like Quest Diagnostics and some specialty labs that specialize in metabolic, immune, nutritional, or functional medicine testing such as: ALCAT, Genova, Pharmasan Lab, Doctor’s Data, ZRT,and SpectraCell. Lab tests may be covered by your insurance. We will discuss the necessity of any test and its cost with you before ordering. You can also utilize your Health Savings Accounts to pay for your labs. 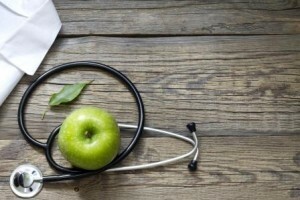 Learn more about the benefits of Health Savings Accounts here.